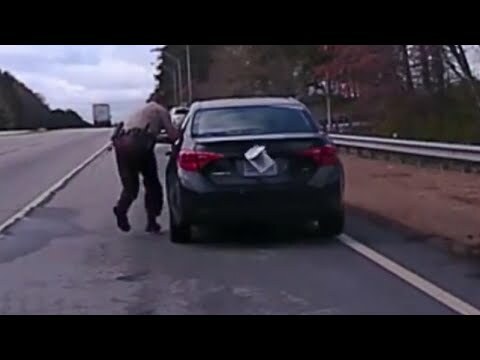 Watch as a deputy tries tackling a suspect on the side of a busy road following a traffic stop in Georgia. The suspect then gets back in his car and speeds off, dragging the deputy along the road. The suspect, Cornelius Brown, was arrested following a high-speed chase. He now faces multiple charges, including assault on an officer.